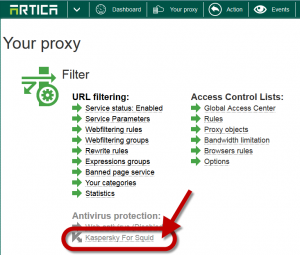 Home » Content Filtering » Antivirus Web filter » How to Install/Enable Kaspersky Antivirus Proxy server ? 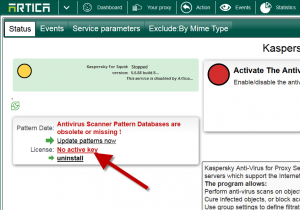 How to Install/Enable Kaspersky Antivirus Proxy server ? 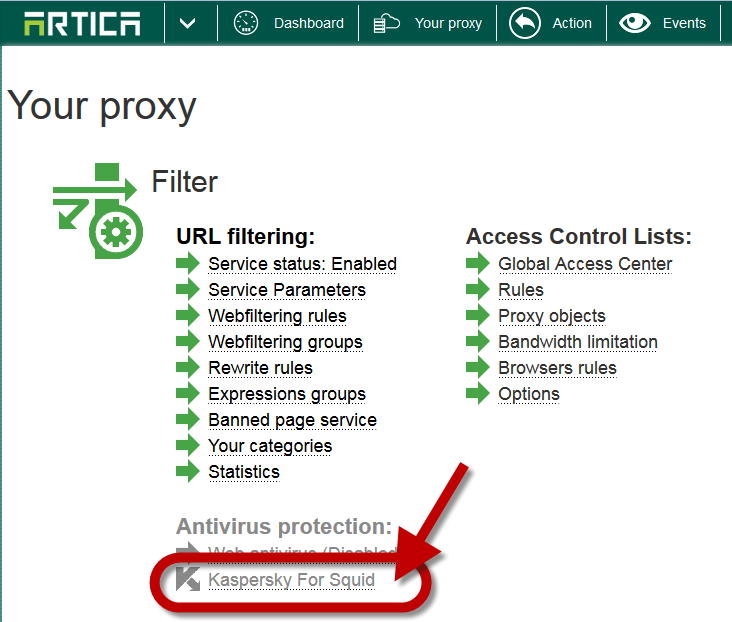 Artica is compatible with Kaspersky Antivirus For Proxy Server and allows you to install it and manage it. 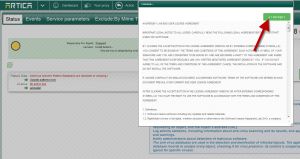 Note that you need a valid Kaspersky License to enable the Antivirus protection. 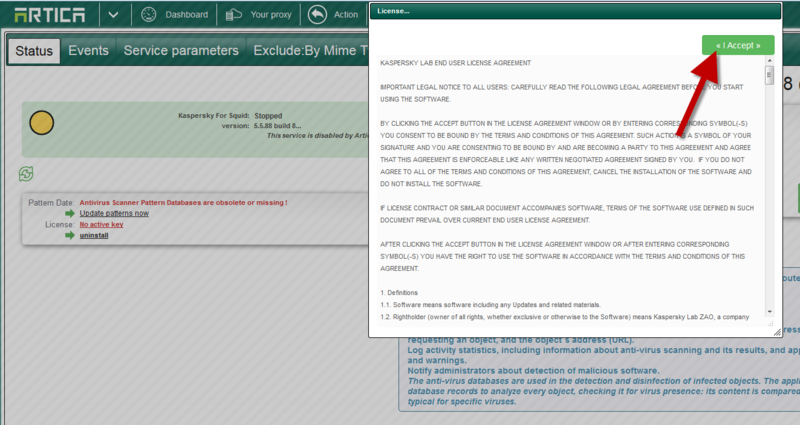 Please refer to your Artica Reseller or your Kaspersky Reseller to obtain a license. A new popup is displayed, click on the Install Now button. Wait during the Installation process. 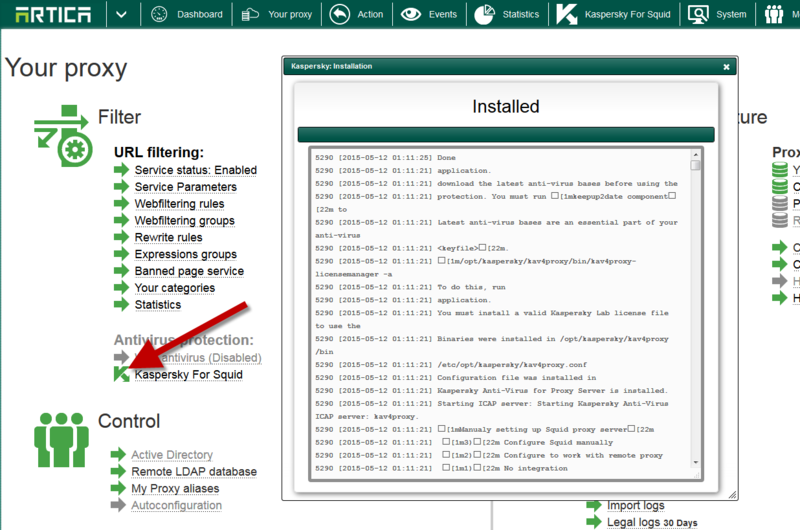 Once installed, you will see in the “My Proxy” section the Kaspersky logo turned to green. 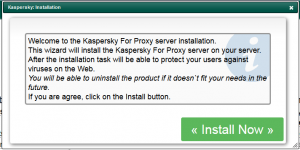 2) Activate the Kaspersky For Proxy server License. Click on the link and accept the license terms. 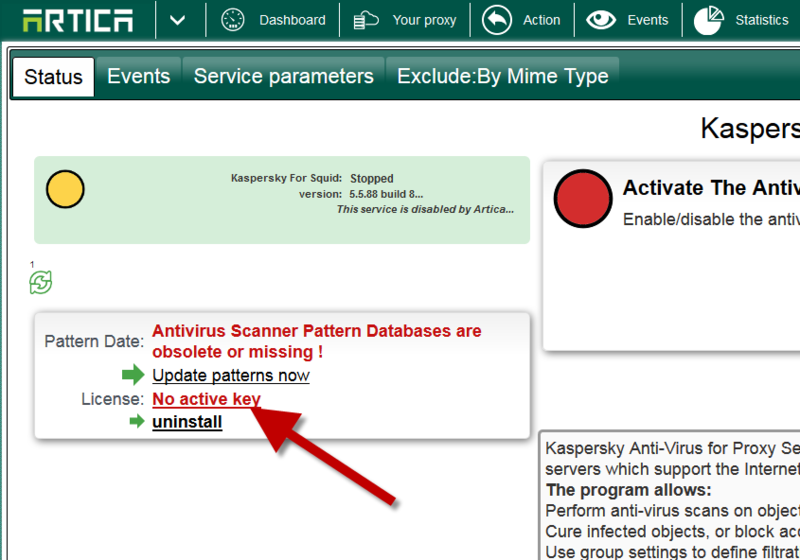 A new popup is displayed, click on the green button in order to upload your “*.key” Kaspersky license file. 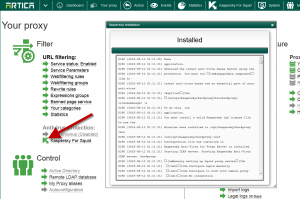 Artica add your new Kaspersky license file and start the service. After adding your license, artica will run antivirus databases updates. You need to wait full updates in order to get a valid license. ← How to increase Web-filtering redirectors daemons ?